The other day, after begrudgingly paying $4.19 for a Big Mac, I decided to take a closer look at fast food prices in town. 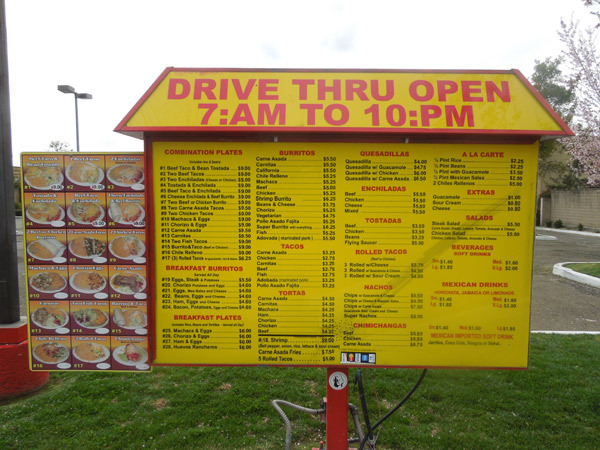 I have a pretty good perspective on this subject, I conducted a comprehensive survey of drive-thru menus back in 2002, capturing most of their prices in the process. Last week I went back and took another look. I compared the menus and prices from two time periods at seven fast food restaurants: McDonalds, Taco Bell, Burger King, Carl's Jr., Wendy's, El Pollo Loco and In-n-Out. Everybody's prices went up, more than I had expected, more than the Consumer Price Index reported, sometimes as much as 100% for an individual item. Please take a look at the individual pages, even if you aren't interested in the price fluctuations. Menus have changed, with finer printing and brighter menus. Most new menus have black on white backgrounds now, and it is easy to guess that they will all be replaced by flat video screens in the near future. 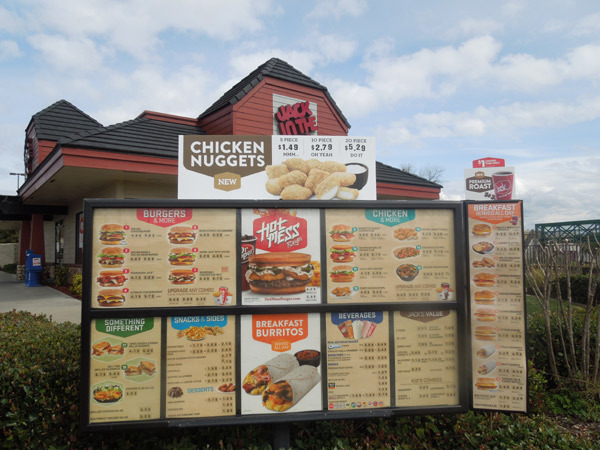 Note that many more menu items are displayed with a photograph, in some cases every item has a photo except for the "dollar menu". More Drive-thru Articles: The apple pie prank, drive thru memorial, NASCAR drive thru prank, how much clearance is there?